Ethiopia is one of Africa’s biggest apparel and footwear manufacturers, supplying international brands the likes of Primark, Levi’s Strauss, Tesco, and Asos with cheap, streamlined manufacturing and domestically sourced cotton. 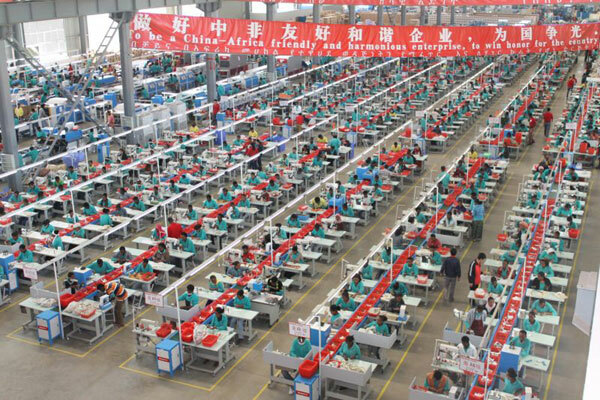 Abundant available workforce at very competitive costs: wages in Ethiopia are a fifth of China’s and half of Vietnam’s. 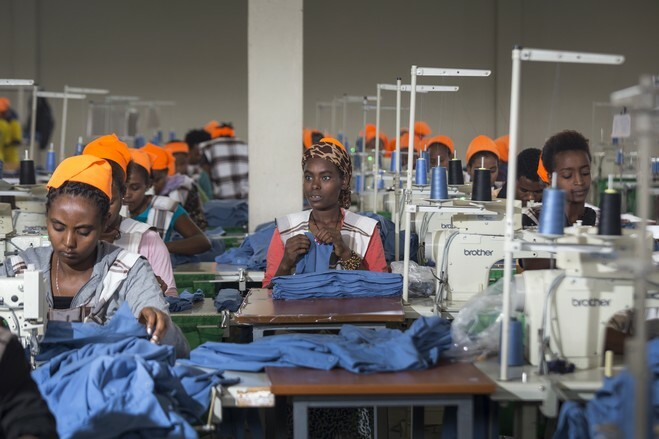 Quality and productivity: Ethiopian workers produce as many polo shirts of the same quality per day as workers in Vietnam when using similar technology. Potential to develop a competitive cotton or textiles industry due to good climatic and soil conditions together with cheap hydro-energy (textile factories pay between US$0.78 and US$0.002 per KW). Strong export performance: the Ethiopian garment and apparel industry has grown an average of 51% over the last 6 years, with the UK accounting for 10% of Ethiopia’s textile and garment exports, with other countries in Europe taking 50% and the US taking 40%. Over 65 textile investment projects from international investors have been licensed in Ethiopia since 1992, with retailers such as H&M and Primark already sourcing clothing from Ethiopia (see also tax info here). Existing investments in the country include Ayka Addis, the subsidiary of the Turkish Ayka Textile with an annual export production worth $100M, that inaugurated its first facility in 2010, and H&M, which established its first factory in Addis Ababa in 2012, following the passing of the African Growth and Opportunity Act (Agoa) treaty that enables tariff and quota-free access for imports from sub-Saharan Africa. Recently, several more international groups have shared their expansion plans and intentions to increase the investments in the country, creating more infrastructure and source hubs. Jozef De Coster reported in an article appeared in Just-Style that at least four groups, including DBL from Bangladesh and the Italian Calzedonia, expressed interest in building new factories in Ethiopia, whose main source hub is located in the northern city of Mekele. Other groups with expansion plans in the country in 2016 are Velocity, owned by the Indian entrepreneur Siddarth Sinha, and Altex. 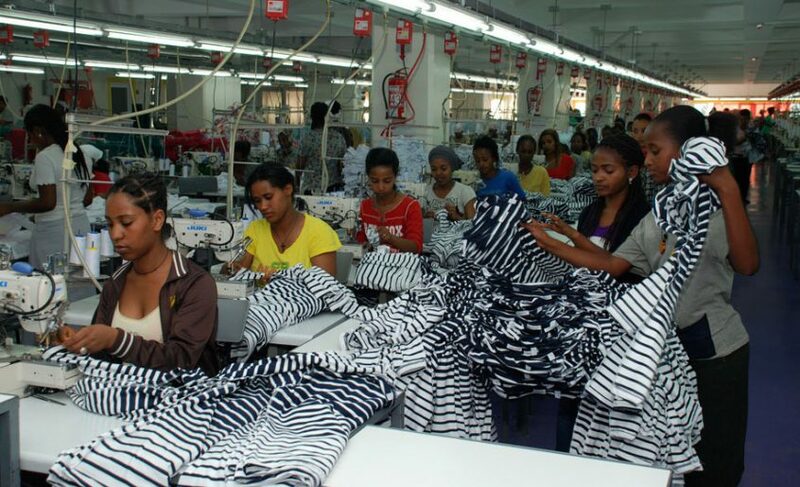 Further, Ethiopia is now competing with Kenya as East Africa’s leading textile manufacturer, with several groups already operating in the nearby country now investing in Ethiopia. Unlike Kenya, the country’s government is investing considerable resources in attracting foreign interest. These include building a $250M park for international garment manufacturers in the outskirts of Addis Ababa, a railway to Djibouti to make up for the lack of national ports, as well as facilitating access to land lease, incentives, and development loans for prospective foreign manufacturers. However, the country’s appeal to international brands is obviously a result of the competitive cost of labour and lack of safety regulations. Ethiopia has no minimum wage and workers start from earning as little as $21 a month, (less than 66% of Chinese wages) reports the Wall Street Journal. The situation is further worsened by the virtual absence of trade unions. With the exception of Ayka, where a collective bargaining by the factory’s union won a 25-percent wage increase in 2013, business owners oppose such initiatives with the complicity of the government, successfully keeping labour costs at a competitive minimum. This also dampens the country’s desired shift to become a middle-income country by 2025.